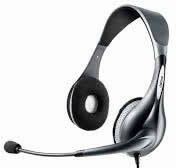 The Jabra UC Voice 150 MS Duo offers a long list of features for its affordable price. For starters, the flexible boom arm microphone is noise cancelling, which means that background noise won’t come through in your calls. Then, the wideband speakers offer HD voice quality and digital signal processing for optimal sound. It’s also Microsoft certified and is simply plug and play through any USB port. 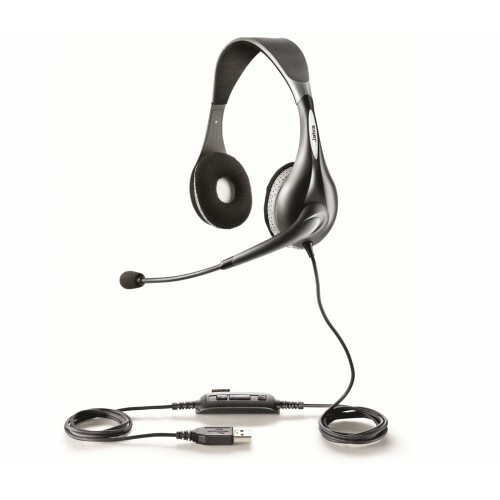 The 150 is a hands-free, over the head device that works seamlessly with Microsoft Office Communicator and Microsoft Lync. It is also designed to run with Jabra PC Suite, which allows easy remote call control and management of multiple devices. It connects quickly to any PC, allowing you to get back to work instead of spending time troubleshooting your headset. With high quality stereo sound from its speakers and intuitive call control buttons, the Jabra UC Voice 150 MS Duo is a high quality headset without the high cost. It is an ideal choice for employees who value an trouble-free device, as well as those who need hands free call capabilities but are not willing to sacrifice good audio. I use this to work from home. No bother connecting to Lync :) Great buy.